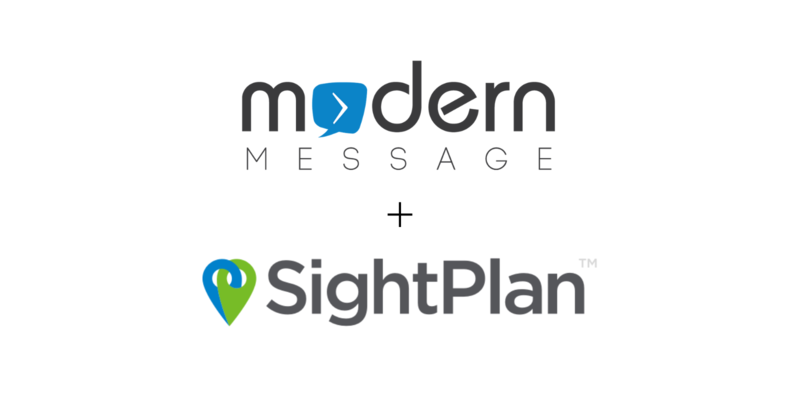 SightPlan, a leader in software solutions for multifamily real-estate nationwide, has announced integration with ModernMessage. 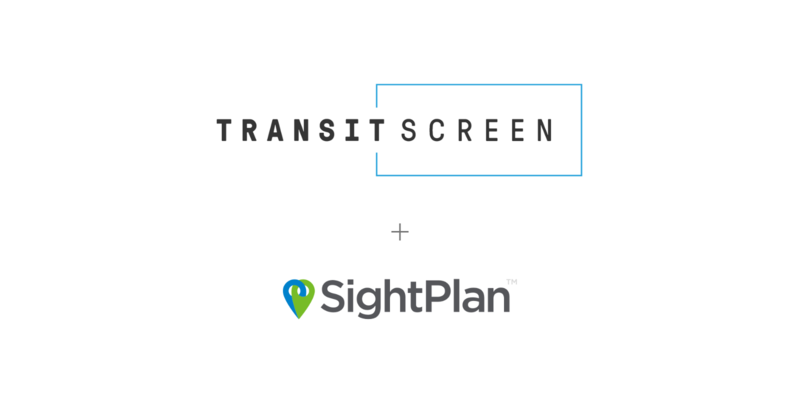 This integration allows communities to embed Modern Message’s signature product “Community Rewards” inside the Resident App and Portal experience SightPlan provides to its customers. SightPlan is thrilled to announce Helen Deer has joined the SightPlan team. 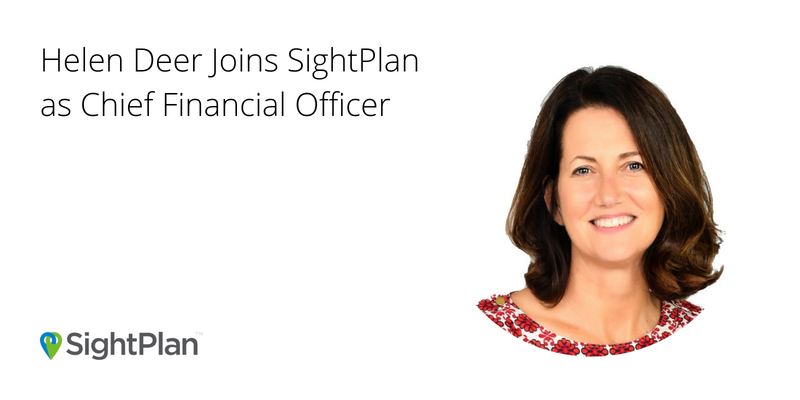 Deer joins SightPlan as the Chief Financial Officer, focusing on the rapid expansion and growth SightPlan is anticipating within the coming months. 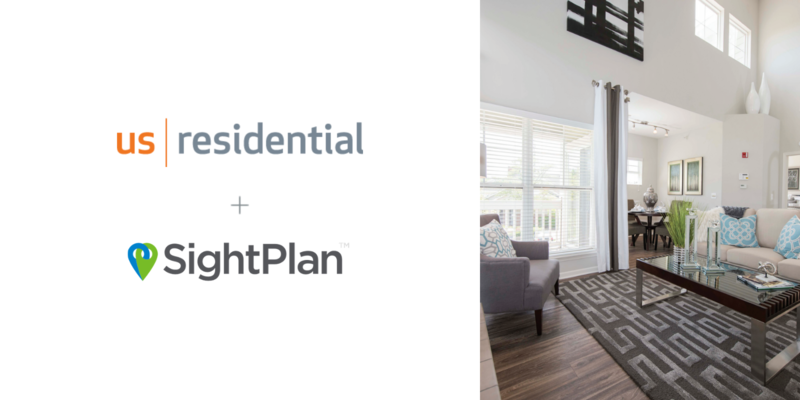 SightPlan, an industry leader in multifamily software solutions, announces the release of expanded Resident App & Portal customizations. 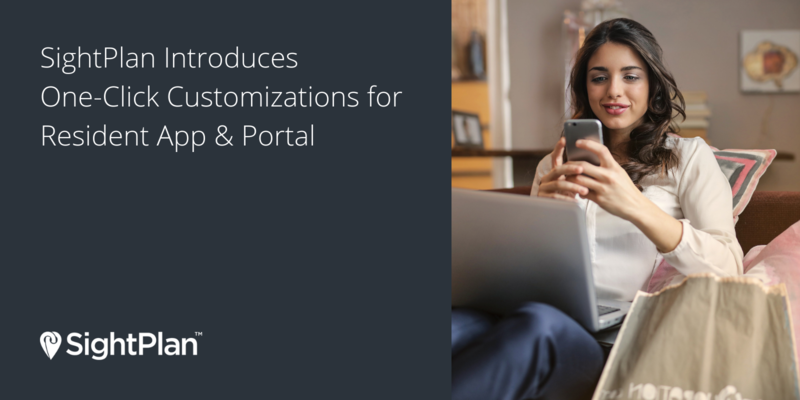 This new functionality makes it simple for any community to create or modify custom content sections in the Resident App & Portal for community polices, neighborhood guides, amenity information, and to connect third-party content and apps. SightPlan announces the opening of its new headquarters and technology center in the heart of Downtown Orlando, FL. The new facilities reflect the accelerating growth of the company and their roots in the vibrant Central Florida technology community. 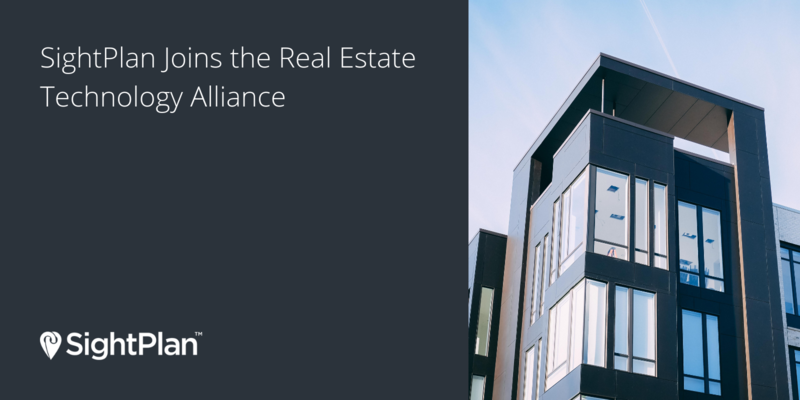 SightPlan has joined the Real Estate Technology Alliance (RETA). 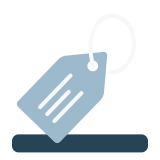 RETA is a voluntary self-funded and self-governed standards organization that creates universal, open standards to support the development of systems solutions for the apartment industry. 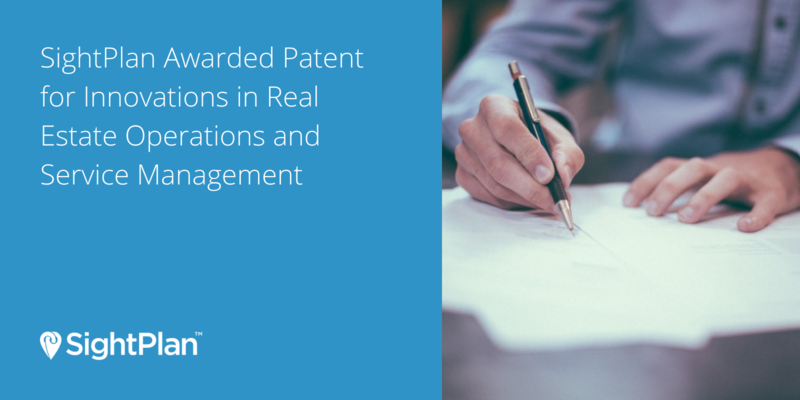 SightPlan, a technology leader to the real estate industry, announces that the United States Patent and Trademark Office has issued US Patent 10,078,805 entitled “Operations Management System and Related Methods”. This patent covers more than a dozen inventions and includes groundbreaking technologies that are already changing property operations nationwide. 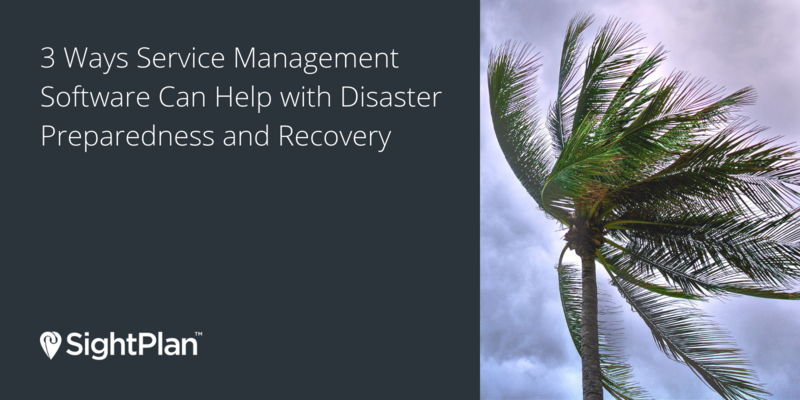 With hurricane season in full swing and the impending threat of Hurricane Florence on the southeastern United States, having a disaster preparedness program and the right operations solution in place is critical for the safety of residents and the protection of your communities. 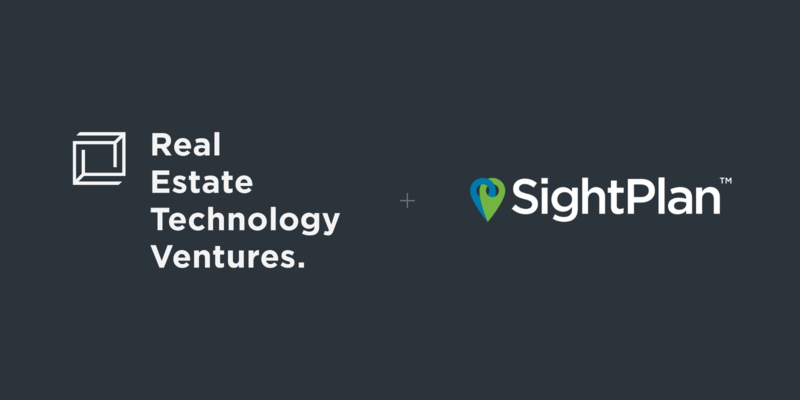 Thousands of communities have leveraged SightPlan’s Answering Service and Operations Suite to assist in their disaster preparedness efforts. 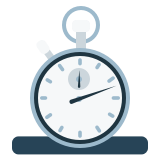 Here are three ways SightPlan can help your communities stay ahead of storm risks. As SightPlan continues to grow, we are excited to welcome new faces to our rapidly expanding team. 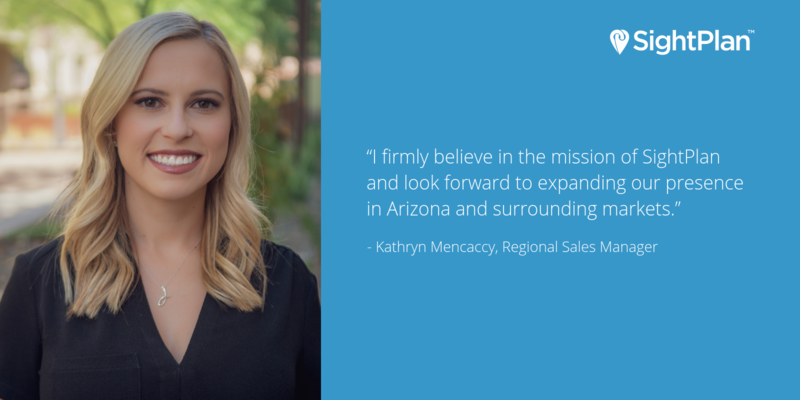 We are thrilled to introduce the newest member of our team, Kathryn Mencaccy! Kathryn joins SightPlan as Regional Sales Manager in the Western region. 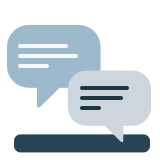 We’re thrilled to announce the release of our Amazon Alexa skill! 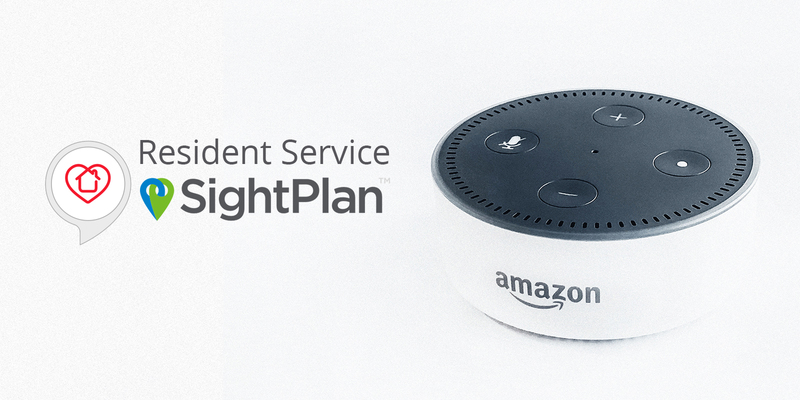 With this new offering, residents will be able to submit service requests, get package notifications, and more through Amazon Alexa. The launch of our new Alexa skill allows residents have the flexibility to communicate on their channel of choice whether it be voice, app, text, etc. 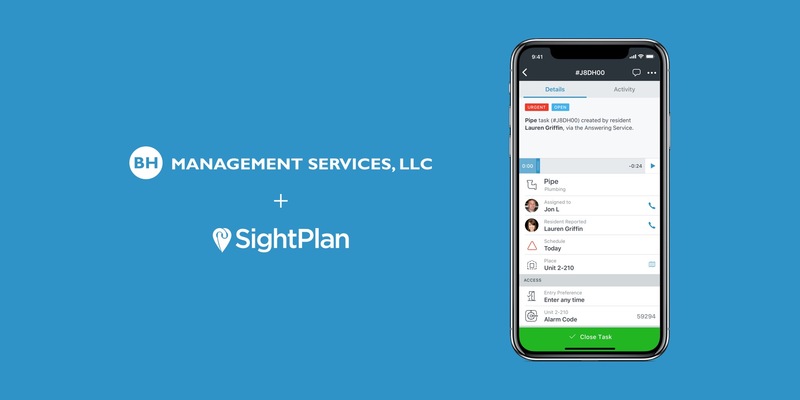 SightPlan, partnering with leading policy management provider The Strategic Solution, is excited to provide Bring Your Own Device (BYOD) policies and compliance for property management companies. The Strategic Solution is the multifamily industry’s leading provider of policy management solutions and brings a proven background in operations, management, and development. 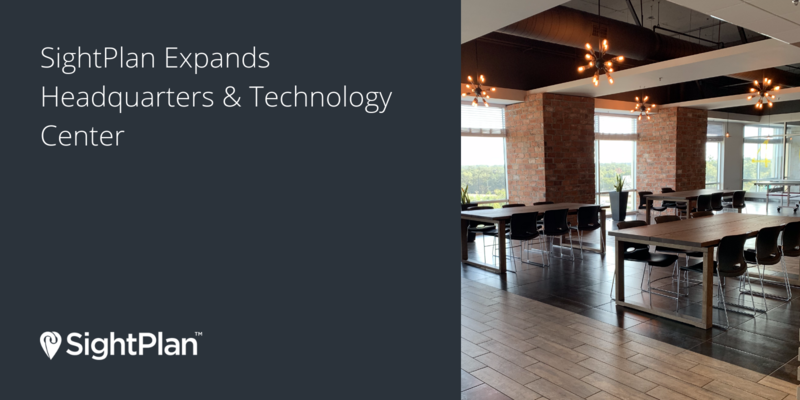 We are thrilled for the opportunity to collaborate together and provide a solution for management companies on BYOD. 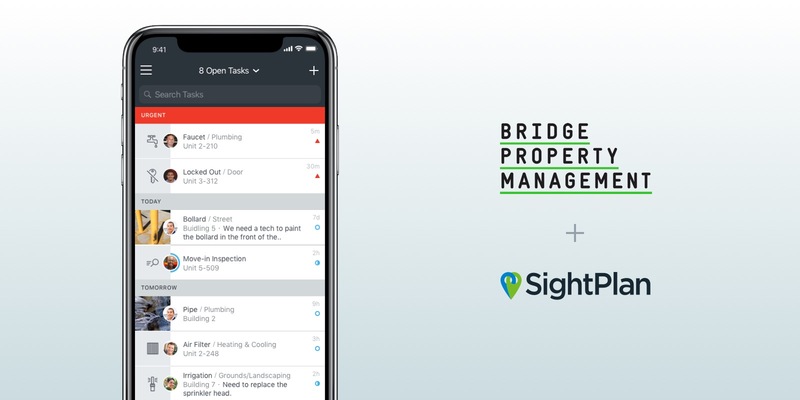 Bridge Property Management, one of the nation’s leading vertically-integrated real estate investment and property management firms, announces a partnership with SightPlan, the award-winning provider of service management software, to deliver a holistic operations platform for service requests, inspections, unit turns, preventive maintenance, compliance, and resident engagement to the entire Bridge portfolio. 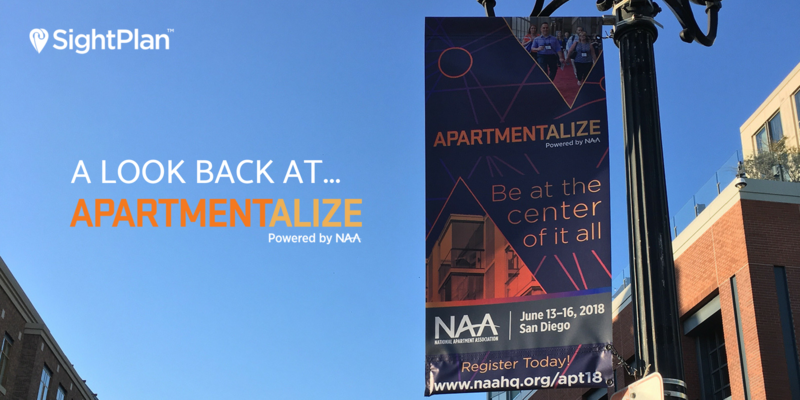 Earlier this month, the SightPlan team had the opportunity to attend NAA’s 2018 Apartmentalize Educational Conference in San Diego! 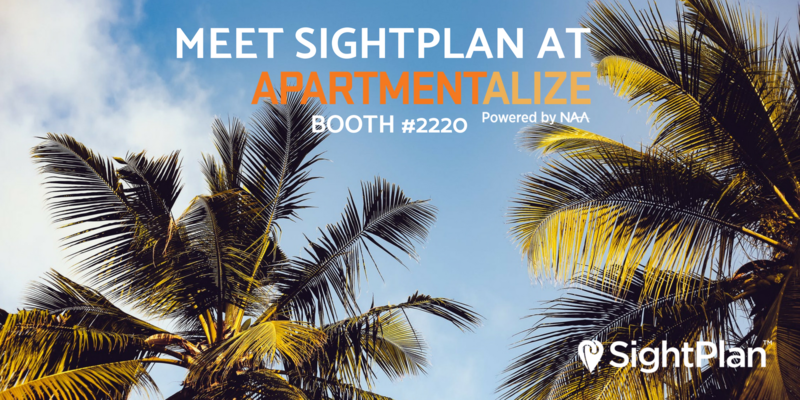 Armed with our walking shoes and a hunger for knowledge, we had the chance to catch up with friends and colleagues, learn about hot topics in the multifamily industry, and spread the word about SightPlan’s revolutionary software solutions. 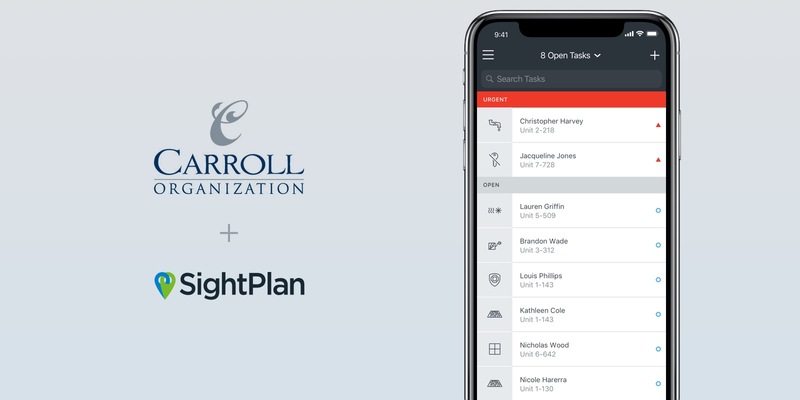 Carroll Organization, one of the country's leading privately-held multifamily real estate companies, is partnering with SightPlan, the award-winning provider of service management software, to deliver a holistic operations platform for resident and prospect engagement, service requests, inspections, unit turns, preventive maintenance, and compliance across the Carroll Organization portfolio. 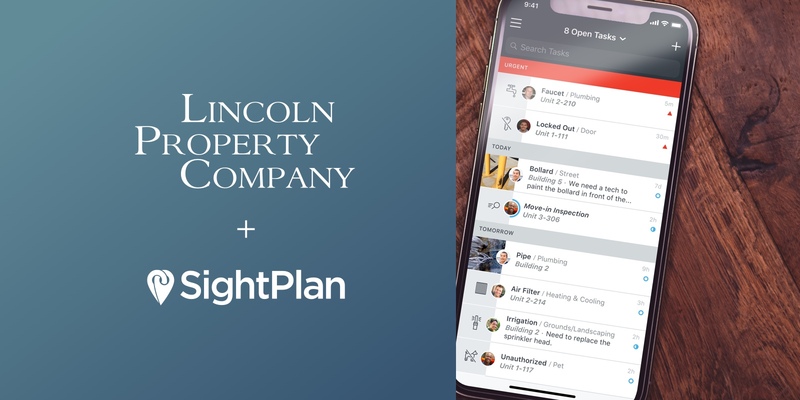 Multifamily leader Lincoln Property Company expands partnership with SightPlan to deliver new service management solutions to maintenance and resident engagement team members nationwide. 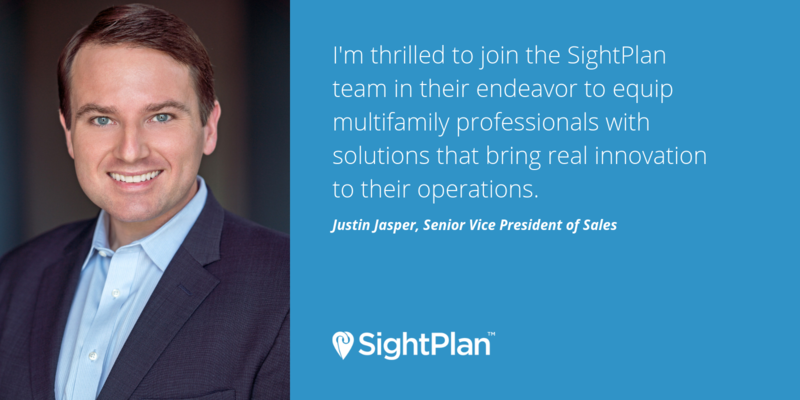 BH Management, one of multifamily’s fastest growing and progressive companies, enhances partnership with SightPlan to deliver top quality service management solutions to maintenance and resident engagement team members throughout its portfolio. 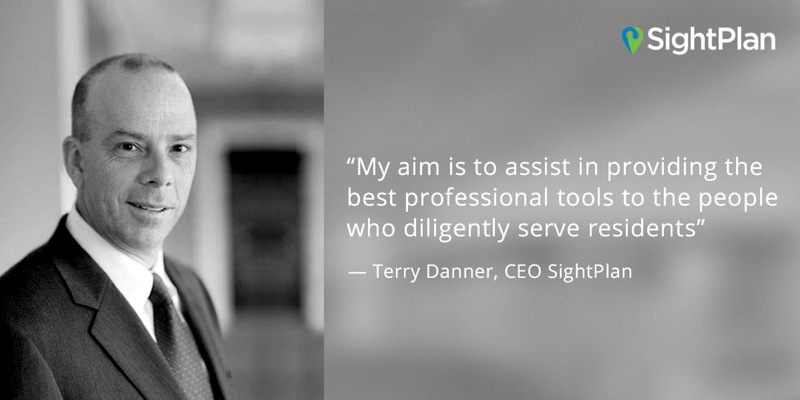 ORLANDO, Florida—May 3, 2016—SightPlan today announced that Terry Danner, former Co-Founder and CEO of Riverstone Residential and Executive Director at Greystar, has joined the company as Chief Executive Officer. 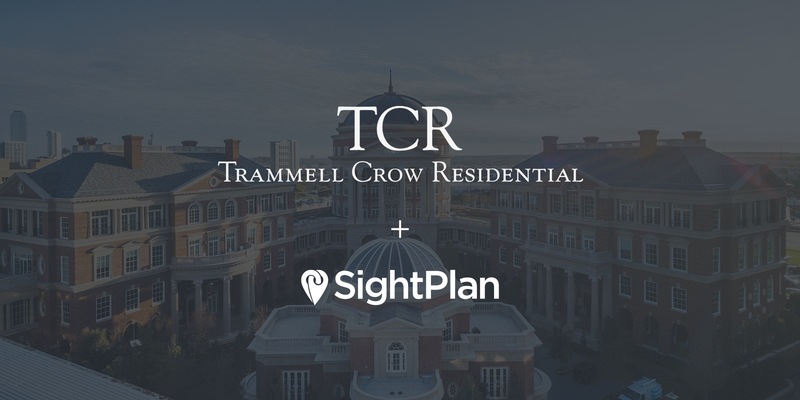 Terry brings to SightPlan an exceptional understanding of multifamily operations and a passion for delivering value to multifamily property owners. ready to go in just minutes.